Viknesh Vijayenthiran November 14, 2018 Comment Now! Aston Martin on Wednesday gave us our first look at its highly anticipated SUV with the reveal of an early prototype. 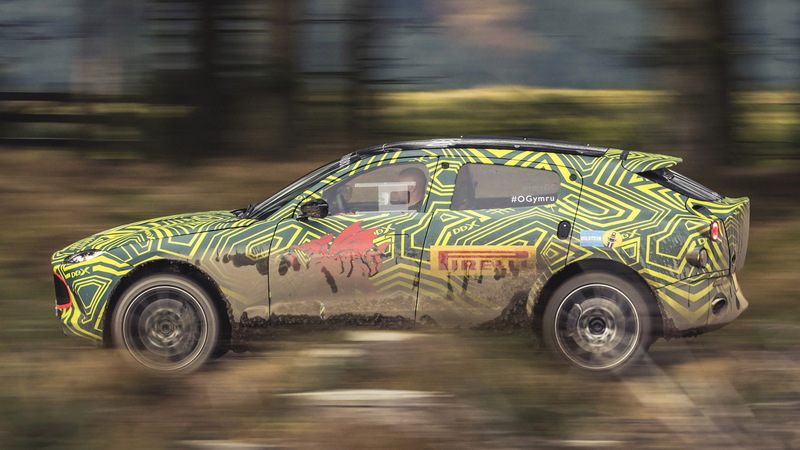 The automaker also confirmed the DBX name for the vehicle which will enter production at a new plant in Wales next year. The reveal is scheduled for late 2019, suggesting we'll see it arrive as a 2020 model. 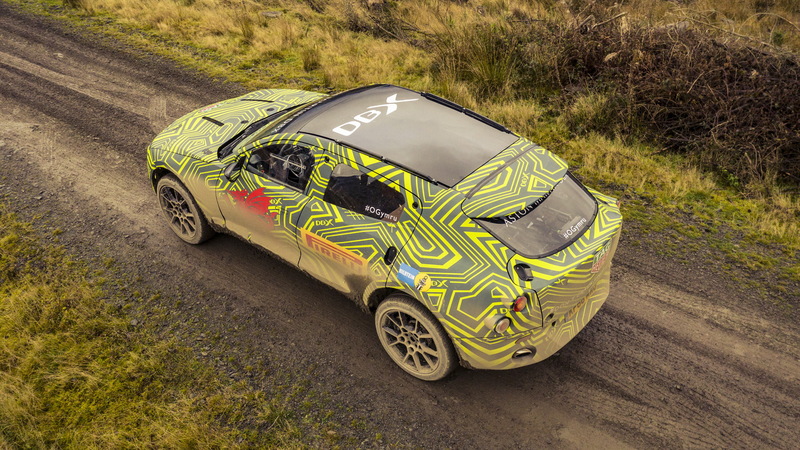 Some readers will recall that Aston Martin used the DBX name for a 2015 concept previewing the SUV (shown below). There were rumors the automaker would go with a different name for production, with Varekai being one of the suggestions. Instead, the automaker has chosen to stick with DBX which links the SUV with the DB line of sports cars. Judging from the photos and video, the DBX will be a small SUV with proportions similar to those of the Alfa Romeo Stelvio. We're looking at a very early prototype so the design will evolve as development progresses. There is also a lot of camo gear, including fake panels, tacked on to hide the true shape. We know the SUV will utilize a new platform developed specifically for a high-riding vehicle capable of off-road conditions. 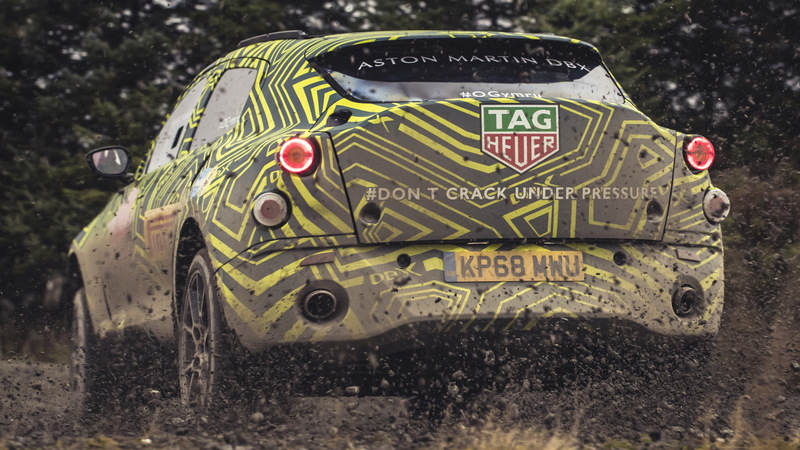 Specifically, Aston Martin will focus on suspension technology to address the SUV's mass, size and purpose. This has required a new type of testing procedure for the automaker normally focused on sports cars. 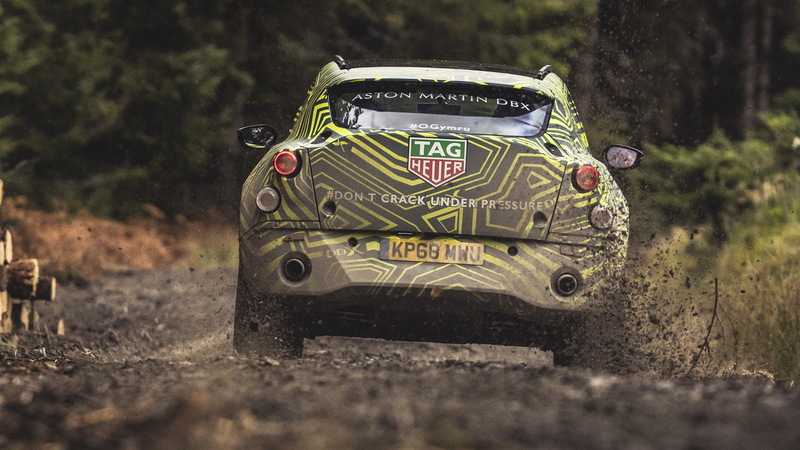 For the first real-world test, Aston Martin Chief Engineer Matt Becker drove a prototype along a Welsh Rally stage. Eventually, prototypes will be sent around the globe to tackle the harshest environments, from the frozen Arctic and scorching deserts of the Middle East to high Alpine passes and the high-speed demands of the German autobahn and Nürburgring racetrack. While Aston Martin first imagined the SUV as an electric car, that has changed due to the revival of Lagonda as Aston Martin's new electric car brand. CEO Andy Palmer confirmed Aston Martin dropped plans for the electric powertrain in April. However, a hybrid powertrain is a possibility. The standard powertrain meanwhile will likely be the 4.0-liter twin-turbocharged V-8 Aston Martin sources from Mercedes-AMG. As mentioned above, production will happen in Wales, at Aston Martin's St Athan plant currently under construction. The plant will start with production of the Rapide E electric sedan and then the DBX, followed by a pair of Lagonda offerings early next decade. 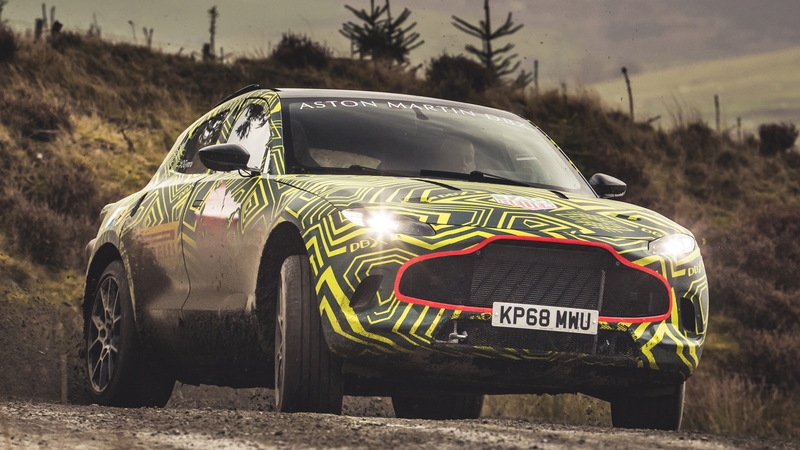 The DBX is the fourth of seven cars promised under Aston Martin's Second Century plan. The first was the DB11 which has since been followed by a redesigned Vantage and new DBS Superleggera. After the DBX will come a Vanquish supercar and then a Lagonda SUV and sedan. Aston Martin will then repeat the seven-car cycle with redesigned models. And along the way we'll also see special edition models like the Valkyrie and 003 hypercars.